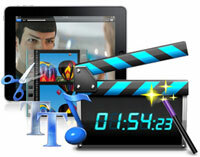 Convert WebM to AVI, WMV, MPG, FLV, MP3, MP4 for iPod, iPad, iPhone, PSP, Tablet PCs. WebM format is a VP8 code video on Html5, and some of them are on the YouTube website. If you download YouTube WebM Video on your computer and want to put it into your PMPs, but your PMP is not compatible with WebM video format, what should you do? How to convert the WebM video to more common video format? Don't worry. Any Video Converter, which is a high efficient and most formats supported video converter, would help you to convert WebM to AVI fantastically with just a few clicks. This WebM to AVI video converter offers you a super simple way to convert WebM to AVI so that it can be playable on your Creative Zen, Archos, iRiver, Sandisc Sansa, Xbox 360, etc. 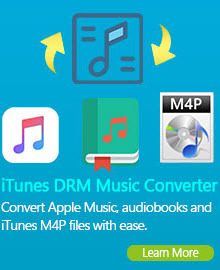 Moreover, the WebM to AVI video converter not only empowers you to convert WebM to AVI video-audio Interleaved, Xvid video (AVI), but also convert WebM to MPE4, AVC, H.264 video (iPod, iPhone, PSP, iPad), MOV (QuickTime), 3GP video (mobile phone), HD MKV video file, WMV(WIndows Media Video) with just a few mouse clicks. 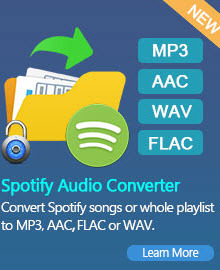 Free download the WebM to AVI Converter to complete the format conversion easily from now! Keep on reading this page and learn how to convert WebM to AVI with Any Video Converter. Wanna convert DVD to WebM, AVI, MP4, WMV, MKV, FLV, MPG, etc? You can update to Any DVD Converter Pro, which could rip DVD to videos perfectly for you. Step 2: Choose AVI output format from the Profile list. You can customize video and audio settings (e.g. Video Codec, Video Bitrate, Audio Codec, Audio Bitrate, Audio Channel) in the WebM to AVI Video Converter to enhance the experience of enjoying output videos. Step 3: Click Convert button to start converting WebM videos to AVI format. Once the conversion is finished, you can click "Output Folder" button to get the output files. Just copy it to your Creative Zen, Archos, iRiver, Sandisc Sansa, Xbox 360, and have fun! With this versatile WebM to AVI Converter, you can not only convert WebM videos to various portable video and audio players, but also able to convert almost all popular video formats include MOV to WebM, WMV to WebM, MP4 to WebM, etc. Apart from its powerful video conversion feature, you can customize various setting such as video size, sample rate, frame rate, etc. to get best WebM video quality. Universal and fast, WebM (Any) Video Converter will make your videos suitable for the web in two clicks. WebM to AVI Converter software provides an easy way to combine and join multiple videos together. Just select the videos you want to join and check the “merge output” you can finish it easily. You can merge several WebM video clips into a single WMV video, so that you can enjoy a long video.